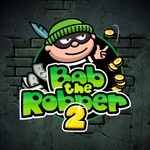 Bob the Robber 2 at Friv 4 promises to bring you a fully exciting adventure and hours of fun. Want to know how to walk through every level successfully? I will help you. 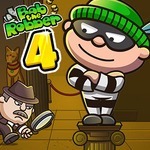 You are Bob - a legendary robber who is going to complete one of the biggest missions which is to steal everything in every house in the city. In order to pass through level 1, you have to finish. Firstly, you move across every floor in the house by using the arrow keys to collect all money and valuable documents. Secondly, you must stand in shadows without moving to become invisible to cameras and guards. Thirdly, you adjust the jimmy to unlock the doors. Finally, you knock out the machine guard in the first floor and reach the green arrows to escape safely, same as other levels. When done, you are ready to move to level 2. Level 2 is also the second house you’re going to steal. This house is protected by 2 really strong guards. Let’s give them some hits to earn extra money. However, the guards just fainted temporarily, so you still have to be careful. You must open all the doors to enter every room of this house and move to other floors. Stand still in the shadow to hide from the cameras and guards. Do not forget to pay attention to the yellow arrow which is the most important mission that you have to finish before leaving. Scanning every single room for money and valuable stuff. Now, after everything is done, you just need to escape safely with a big smile on the face. It’s time to go shopping for some necessary equipment. You buy the instant photo to deactivate a security camera. Have a great time at friv free Games! 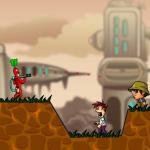 Are you ready to face various challenges at the level 3 of this interesting friv games? This level is harder than two first ones because there are more guards here. You will find it harder to move. However, more guards mean more money in the house, do you think so? This spacious house is guarded by a dog and two big guards. The owner of it is sleeping on the fifth floor and your main mission is on the first floor. Let’s notice these details. First, you move around the third floor. At here, you cut off the power of alarm bell to prevent it from ringing. Then, use the instant photo that you bought to deactivate the camera on the fifth floor and move quietly to the owner’s room and get everything. Waiting in the stair until the guard in the rooftop approaches you, then beat him. Now, you collect the code in the working room to unlock the door in the second floor. Notice that there is a dog at there. Finally, you just need to take the documents and get out of here. Level 4 welcomes you with more obstacles. But with my guidance, you definitely finish your mission successfully. Let’s begin! Same as other levels, you steal everything that could be stolen. But there is something that you have pay attention. Firstly, you disable the alarm bell in the second floor by cutting the green wire. Secondly, you unlock the door in the fourth floor and go upstair. Then you use your electric gun to defeat the guard. Your main task here is to save the man on the fifth floor. After that, you quickly move to the roof to go straight to level 5 of Bob the Robber 2 at friv 2017. You’re going to enter a prison in this level. There are so many police here, but nothing can stop you. At here, you have to send a gift to your friend who is locked on the fifth floor. However, let him wait some minutes because you still need to knock out some police and take whatever you want to take. Sound so great, doesn’t it? Even you’re a robber, you do not have to be sneaky, get in the elevator and move to the top floor now. Do not forget to destroy the alarm bell by cutting the orange wire. Now, it’s time to meet your friend. Let’s give him a present and get out. The exit is a conduit in the basement. To get there, you have to defeat every guard. That’s it! Let’s see what is waiting for you in the level 6. Much fun at the friv 4! Same as other levels, in the levels 6, every floor is protected by guards. There are 5 guards in total. Your ultimate goal is to steal valuable stuff in all floors. But you have to focus on some important points. First, your main mission is on the fifth floor and in order to enter to this room, you have to take the code in the left room of the second floor. Secondly, you use the instant photo that you bought to deactivate two cameras, one on the fifth floor and another one is in the middle room of the second floor so that you can move without being caught. Finally, the way out is in the left corner of the third floor. After everything is done, you reach it to escape. Much fun with Bob the Robber 2 at Friv 4 school. Are you confident enough to conquer level 7 of this friv free Games? This time, you break in the Gamp - one of the most modern buildings in the city. At the beginning, you should move quickly to the third floor to get an important code if you want to finish your main mission. At there, you also break alarm bell by cutting the blue wire. To go upstair faster, you go to the first floor and get in the elevator. By doing that, you go straight to the fourth floor. 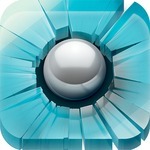 Do not hesitate to beat the guard and disable the camera, then you use the code to unlock the way to the fifth floor. Your main mission is here. Finish it quickly and get in the helicopter to escape. It’s the great time to go shopping for some necessary stuff. Let’s buy an instant camera and a Lock Pick which is used to open any lock more quickly. Here at friv , the building in level 8 is more secure. Additional guards recover faster after being hit. So you must be quicker and more careful. Now, let’s follow my tips to finish your mission successfully. You break in Gamp factory from the fourth floor. Let’s take everything from here. After that, you disable the camera by using the instant camera, hit the guard and use a computer to unlock the third floor. Now, you have to enter the left room on the third floor, access computer to get the code which is used to open the middle room on the first floor. At there, you deactivate the alarm bell, then move straight to the second floor where your main mission is waiting for you. Finally, get out of there. Are you curious about level 9? 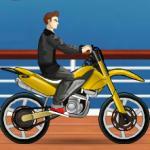 More challenges are waiting for you here at the level 9 of this interesting friv games. But don’t worry! Nothing can stop you if you keep in mind some following key points. Firstly, you should always stand in the shadow to be invisible to the cameras if necessary. Secondly, because all guards heal much faster so you must hit them as many as possible to make them fainted longer. Finally, what you want to take the most is on the third floor. Watch out every direction to not be caught. Now, let’s see how much you get at this level. Congratulation! You have passed through 9 levels of Bob the Robber 2 at Friv 4 school 2017. And now, the difficulty seems to increase. In level 10, you have to finish your mission in a given amount of time. Pay attention and perform every action as quickly as you can. Your ultimate goal is to grab all valuable stuff, not leave any single one. If any crazy doctor detects you, you hide in the shadow immediately, then keep going. Do not forget to take your time. After completing your main mission on the fifth floor, you reach the way out just right there. Your journey seems to go to the end, but no, this is not the end. Level 11 is the final level of this game and is also your last mission. But, it doesn’t mean that everything is done. We’re going to mention about it later. Now let’s focus on your mission. The most important things you have to take is on the second floor. But, firstly, you deactivate the camera on the fifth floor and go straight to the sixth floor to get the essential code on the computer at here. I can say that level 11 is the hardest level of this game. There are more guards, alarm bells, and locked doors here. However, nothing can stop you from scanning all the rooms of this place for valuable stuff, unlocking every door, hitting all guards and finally, you simply go to the way out on the fourth floor to escape safely. 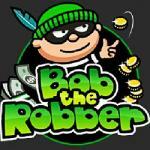 Something is waiting for you at the next sequel of Bob and Robber. Let’s find out! Eso mismo he pensado yo, están tumbadas presentando más superficie al sol. ¿Eran vacas nórdicas?